Robyn and her sister Sandra were born and was raised in the NSW country town of Grafton. Her family later moved to Sydney, living for a brief time in the Surry Hills’ housing estate, Northcott. Robyn attended Parramatta High School, and was school captain there. She graduated from high school in 1960. She went on to obtain a BA at the University of New England. At the end of the 1960s, Robyn moved to England, where she pursued post-graduate studies. It was here she met her life partner Lynne and first became involved in the women’s liberation movement. On their return to Australia, Robyn and Lynne lived in Glebe for more than 35 years. Robyn Kemmis died in December 2015, aged 72. Robyn’s great grandfather was Thomas Bawden, seven-time mayor of Grafton and representative of the NSW Legislative Assembly for Clarence (1869-1880). Robyn studied econometrics at the University of New England in the early 1960s, graduating with a Bachelor of Arts (BA). When she moved to England in the late 60s, Robyn undertook a Masters of Arts (MA) at the University of Essex. Robyn worked in publishing and tourism in London, before returning to Australia where she took up various senior management positions in the NSW public service. 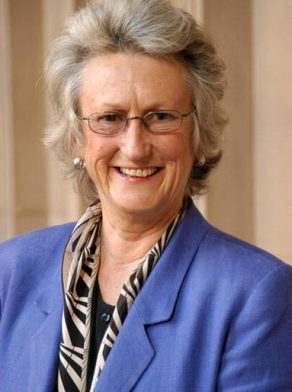 Robyn was appointed as Executive Director, University Administration at the University of Technology, Sydney (UTS) in 1991. A year earlier, the university became a single entity following the amalgamation of several educational institutions. Robyn was later Deputy Vice-Chancellor (Administration). She worked at UTS for more than a decade, retiring in 2002. In her professional life, Robyn was well-regarded for her vision and strategic planning. Robyn was a lifetime community advocate for social justice and equal opportunity, with a deep interest in social justice and equality, welfare, and the rights of women and the LGBTI community. She is remembered for her warmth, determination, perceptiveness, honesty, her ability to connect, and her genuine interest in other people. Robyn had a reputation of helping new councillors with protocol, and taking them under her wing. In 1973, Robyn and Lynne moved back to Sydney, settling in the inner-city suburb of Glebe. Robyn got involved in local issues, including helping to establish Australia’s first women’s refuge, Elsie, in 1974. As a City of Sydney Councillor, Robyn Kemmis was involved in numerous community activities. She was on the Glebe Public School Board, and worked with young people, including the Thomas Kelly Youth Foundation. She advocated for social justice, equal opportunity and social housing in Glebe and Millers Point. Robyn linked public tenants with other local community groups. She would attend public tenant meetings and rough sleeper barbeques in Redfern and helped connect rough sleepers and young people on the street with services including Aboriginal and community health services. She worked hard to keep the Glebe Youth Service and other youth services in the inner city. Robyn was greatly respected by inner-city communities, as a compassionate champion for Sydney’s most vulnerable communities. A park in Glebe was named in her honour in 2016. UTS awarded Robyn an honorary doctorate in 2002, in recognition of her outstanding contribution to the university’s mission. She received a Centenary Medal for service to Australian society in business leadership in 2003. Robyn Kemmis served two terms as an Independent, on Clover Moore’s ticket, on the City of Sydney Council. Her first term was for four years, from March 2004 (when the city was amalgamated with South Sydney Council) until September 2008. Her second term was from 2012 until her sudden death in 2015. Robyn was Deputy Lord Mayor from September 2012 to December 2015. She was Deputy Chair of Council’s Corporate, Finance, Properties and Tenders Committee (September 2012 – December 2015). Robyn was a major contributor to the delivery of Sustainable Sydney 2030, the City of Sydney’s strategic plan.